Photographers, the inspired ones, the gifted, are observers who emphasize the essence of their subject, who snap the shutter as reporters of an expression, an event, an emotion, yes, but who, because of an innate sense of knowing the right angle to set the composition and how to get the subject involved (or not), tell in pictures what others say with words. Such an artist was Bill Cunningham, the legendary New York Times “street photographer,” who for decades caught Gotham’s fashions on the sidewalk and pavement as well as social, philanthropic and fashion events. Cunningham, who passed last week at 87, still toiling for his paper, was not a trained photographer, for the gift is not always tied to degree, but a man who left Harvard to make ladies’ hats and to work at an exclusive dress shop in Manhattan. He may not have known it, but he was preparing for his later photographic career. Knowing line, form, the cut of a stylish garment is very much like the photography that captures the motors and the souls of the living. It is the essential that was sought, and it is there to be seen by the right observer, for we all are of one design or another, with particular line, form, the cut of the jib. Bill Cunningham offered two weekly photo columns, “Evening Hours,” which reported on New York’s social scene, and “On the Street,” which was perhaps his best work. He had a certain charming, non-invasive way of seeing the running motor — the reason to be — of the woman or fellow stepping off the curb into the busyness of a city. While clicking away on the street beat, Cunningham became a trend-spotter and so probably set the tone for fashion editors and fashion houses. He was the messenger, noting and reporting on the self-made fashions of stylish New Yorkers that would set a trend, or which already had. The Times may well not continue “Evening Hours” and “On the Street” because, just as you cannot replace a columnist of a particular style with a fellow instructed to be a clone, Bill Cunningham’s photography was inimitable, unique to himself. Father’s Day is a time for special reverence, especially when your dad is gone. It’s almost easier then, sad to say, because you don’t readily recall the difficult moments. All children have them with their fathers. All fathers have them with their children. Maybe even more so if there is a son. My own Dad, gone a little more than a year now, is terribly missed, for while we often got under each other’s skin, he always had my back, and I, somehow, became the responsible son, enough so that he began to think of me as being like his own father. There aren’t enough tears of gratitude for that sort of full circle. In the final years there was a mutually satisfying dialogue and companionship. It was a road that seemed destined, and I am grateful. Yet even if we had not turned to the same path, there was one moment in my life that made my father my Dad. Think of your own father, be it the dad of a son, now man, or a girl, now woman. What was the special thing he did that made you forget his justifiable admonitions as well as his warts? Someone I once had the pleasure of talking at length with about all manner of things — to the point that the conversations were both quite satisfying and most revealing of her character — found her father to be a constant light in her life. He was gifted with a responsible, achieving, quite loving daughter who constantly made him proud. And she had a father who made sacrifices for her. He did many things, but one special moment came when this camera buff sold equipment that must have been difficult to come by so that he could build his daughter a playhouse in the backyard. Her father was her Dad in that moment and many others. In my own life, the moment came in the second grade, one-third completed in Nanuet, N.Y., where we had moved just a year earlier and the rest of the school year in nearby Tallman. This fellow — me — did not adjust well and was held back in June. My father, who was not a shouter or an in-your-face fellow, politely but forcefully pleaded with school officials to give me a break. He knew his son was capable of the work required. Yet those were different days, and the school officials did not reconsider. Years later, my mother would tell me what my father did. In that moment, my father became my Dad. The terrible news that a gunman walked into a gay nightclub in Orlando, Fla., and destroyed 50 people, leaving 53 others hospitalized in the deadliest mass shooting in U.S. history has to bring national tears and renewed debate on selling automatic weapons so freely that sick minds can become executioners. Whether that happens is as uncertain as the outcome of this presidential election in which so far basic civics history seems lost to the ages, and so few know our Founders’ actions and desires — how did we get here? What does the nation stand for? It is certainly not intolerance of people based on sexual orientation. If we do try to learn and understand our history and the great journey this democracy-in-training embarked upon almost 240 years ago, we can see that we have come so very far. While it will never be far enough for crazed, sick gunmen, it can be more than far enough for national empathy and increased tolerance. Fifty people dead, and that means 50 funerals, hundreds of relatives and friends in lifelong mourning, cheated of friendship, companionship, love. The nation, the world without 50 achieving souls. And such a very deep wound to the national body. What shame we have. Yet we have progressed against intolerance, however unsteady the footing may be in this election where jingoism, platitudes, sentences without depth, irrationality all fuel the fires of prejudice. How many more Orlandos can be born of this? Or does this democracy-in-training, this national body of advancing humanity turn the tide? Can we pull the trigger against the bullies in the darkened alleys? 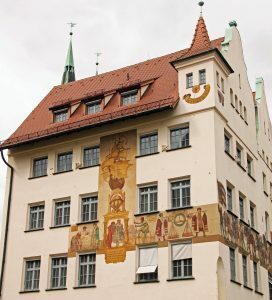 NÜRNBERG, Germany — This once-again beautiful city in the center of Deutschland, removed for more than 70 years now from World War II bombing and almost complete devastation, is both typically German and Bavarian: There is the no-nonsense, can-do, will-do national work ethic and the good and smiling personality of the region. A recent visit while seeing family made me wonder how ever there could have been such disaster here, but also reaffirmed the salvation of humanity in what became the judgment at Nuremberg. Perhaps this visit was a lesson for America today. was chosen since Nuremberg was where the Nazi Party passed law stripping Jews of their citizenship. Today, a visit to Nürnberg brings so little of the past to mind. Much of the city has long been restored, though not all of the medieval section. There are public squares where regional produce is sold, restaurants, stories, museums, offices, homes and all that makes for a vibrant community. Life is worth living in this beautiful center, and visiting it and its fine people made me once again proud of my German heritage while also remaining cognizant of its mistakes. You cannot return from Nürnberg, from re-watching “Triumph des Willens” — “Triumph of the Will” — without a chill in this U.S. presidential election. The ability to rouse a mass audience using slogans and prejudice and fear, all based on very real concerns (Germany, 1930s: economic woes worsened by war reparations, unemployment; America, 2016: dwindling middle class, poor immigration policy, rich getting richer, all costs rising). Of such conditions are demagogues born — political “leaders” who rally through false claims, simple promises and argument based on emotion not reason. Of such times humanity can once again turn into the dark.